With interest rates remaining stagnate, just to keep up with inflation, you’re going to need to manage your money and your income sources well. 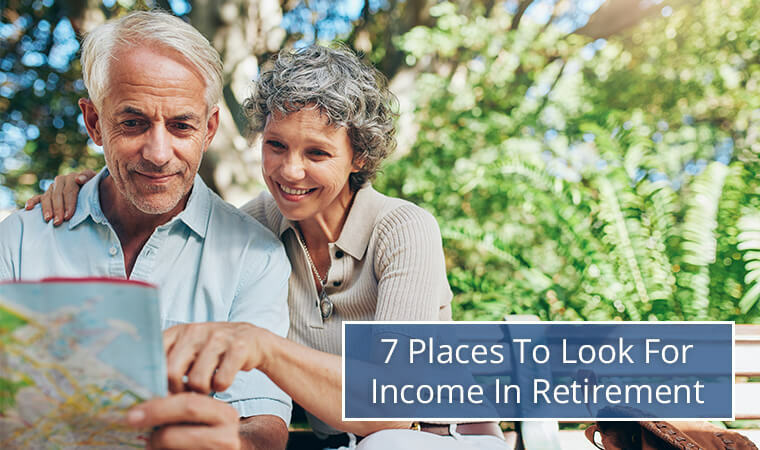 What follows are seven places where you might derive income in retirement, along with tips intended to get your “retirement mind” in shape for the future. 2) Social Security is the most common retirement income source, with, according to the polling giant Gallup, some 56 percent of recipients relying on the program to cover most of their expenses. This is alarming because the program is likely due for substantial changes in the future. I’m not insinuating that Social Security will vanish entirely, but I often advise my younger clients to assume that the program (in terms of both benefit amounts and eligibility) will look radically different in the years to come. 3) While there is no magic savings number that ensures you’ll be flush throughout retirement, once you leave the workforce you need to make certain your investments are still generating income. A well-diversified portfolio could be the difference between barely getting by, or being able to buy that new car. 4) Own your retirement when you own your home: We usually advise our clients to retire mortgage free. According to Gallup, however, almost 19 percent of retirees either use a reverse mortgage or sell their homes outright to fund their day-to-day retirement expenses. 5) Pensions: Unlike your father’s generation, private companies that offer pensions are becoming something of an endangered species. However, if you work for the government, you may still be golden. 6) Part-time jobs: More and more of my clients seek to work part-time in retirement. The most popular reasons given are that they relish the stimulation, they like learning new things, and, of course, who doesn’t want a little extra money? How are you going to fund your retirement? My experience has been that the people who have the most secure post-work lives often do so because they’ve achieved symmetry between their various income sources and professional, credentialed advice.